Having been raised a Roman Catholic, I was taught about the seven sacraments for the Roman Catholic church which, unlike most of the Protestant denominations, is a sacramental church. These sacraments occur at points in major transitions in the human life cycle: infant baptism at birth, first Eucharist and penance at the "age of reason" around age 7, confirmation in adolescence, marriage and ordination as a gateway to adulthood and generativity, and last rites at death. Other religions have similar rites of passage. Which rites of passage have been meaningful to you in your spiritual life? Currently, at 71, I am an elder and it is a role I am still learning how to enact for myself and others in my life. Our contemporary society doesn't help much, as there are no clear rites of passage into elderhood other than obtaining Social Security, Medicare, and, perhaps, retiring from one's main career or professions although many continue to work if they are able at least part time. Elderhood is also a time of generativity when there is a concern about helping the younger generation benefit from what one has learned from one's life experience. This role is not taken by all older people. As one wag put it, "Growing old and growing up are two different things." As we continue to be alive we all grow older but whether we grow up is a choice and intention we each must make. 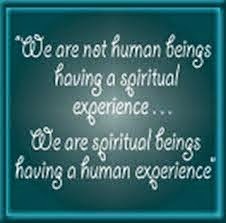 Growing up has to do with spiritual development. 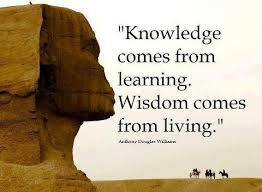 It is the ever increasing development of wisdom. Socrates said an unexamined life is not worth living. If one has lived and is living an examined life, wisdom is the result, it not, then not so much. Having moved over to Unitarian Universalism I miss the sacramental way of life. 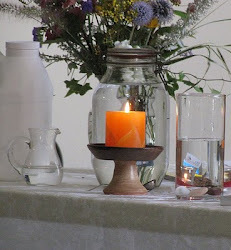 UU sometimes celebrate rites of passage with dedications, marriage, funerals but these rituals seems secularized and can be engaged in in other places than in church. Many of the UUs I have met are also converts with a small minority being cradle UUs. Perhaps one of the contributing factors to the decreasing UU membership is its failure, as a faith tradition, to provide meaningful ways of celebrating major life transitions imbued with spiritual meaning. I would have to agree with you. Perhaps, because I was also once a Roman Catholic, I also miss the rites of passage. There are many things I like about Unitarian Universalism, but I found myself lacking something I couldn't get from my UU congregation. I am also a member of CUUPS, and have been a practicing pagan for decades. In some segments of that community, particularly Wicca, there are rites of passage. This year, I had my Saging Ritual performed, where I was formally welcomed as an elder of the community. I found it so refreshing to have my having achieved another stage of life acknowledged . I wish UU's were more receptive to these type of rites.